Who was Dr. Johanna Budwig? Dr. Johanna Budwig (1908-2003), the creator of the Oil-Protein Diet, was known as the foremost expert on Omega-3 fatty acids. Dr. Budwig was a renowned German scientist with extensive training in natural sciences including chemistry, bio-chemistry, pharmacology, and physics. 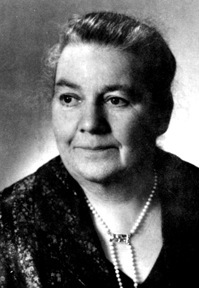 She was a widely published author and also served as the chief expert of drugs and fats for The Federal Health Office in Germany. This is equivalent to Food and Drug Administration in The United States, and while working there, Dr. Budwig was responsible for overseeing pharmaceuticals and food products. From her own extensive research, she found that all of her cancer patients were dangerously deficient in some important substances including lipoproteins and phosphatides. Knowing this, she designed a method of using of the Omega-3 fatty acids in Flax Oil to heal patients suffering from diseases like cancer. She also used these same methods successfully for arthritis, asthma, and heart disease. With her deep understanding of biochemistry and physics, she knew that eating Flax Oil alone would not be enough to create the healing effects that she was looking for. So she created a method that involves the blending of Flax Oil with the proteins in Quark (or cottage cheese) in order to make it water soluble and easy for the body to absorb. This is why her diet is often called the "Oil Protein Diet". The nutritional therapy developed by Dr. Buwig is extensive and involves other therapies beyond the Oil-Protein mixture. If you would like to learn more about Dr. Budwig's research, and how to do her nutritional therapy, you can find more in depth resources here. Her work is far more extensive than a single article can contain. By using an array of methods that she created, Dr. Budwig was able to heal thousands of patients with disease like cancer, heart disease, and asthma. Yet, because she denounced many food companies for using harmful substances like hydrogenated oils, she was often confronted with political resistance. Dr. Budwig developed a successful nutrition based therapy that could be done at home for serious degenerative diseases like cancer. Her methods could not be patented and were easy enough for patients to do themselves. This also caused political tension between her and the medical community of the time. Dr. Budwig recorded a 90% success rate for her cancer patients, and having been taken to court many times by the medical and food industry, her evidence was reviewed by the legal system. Dr. Budwig won every case. Johanna Budwig was far ahead of her time, and her role in history has not yet been solidified. Her work is extensive and this story is not only important for science, but is also important for the people. Most, if not all, degenerative disease can be avoided. More and more doctors are also looking to natural forms of therapy to heal illness. The science behind natural therapies is now being re-discovered every day. It's time for us learn and take charge of our own health. 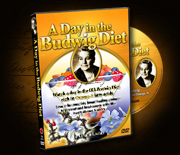 You can now learn Dr. Budwig's complete healing protocol on DVD!